2 of my fellow Gumtree Designers are currently having give aways. Jenny is having a BIG one to celebrate the launch of her "Christmas Story" Quilt. And Dawn has had a change of name. She is now known as "As Sweet As Cinnamon" to celebrate she is also having a giveaway. There hasn't been any sewing going on here this week - Life for us has had a few hiccups. 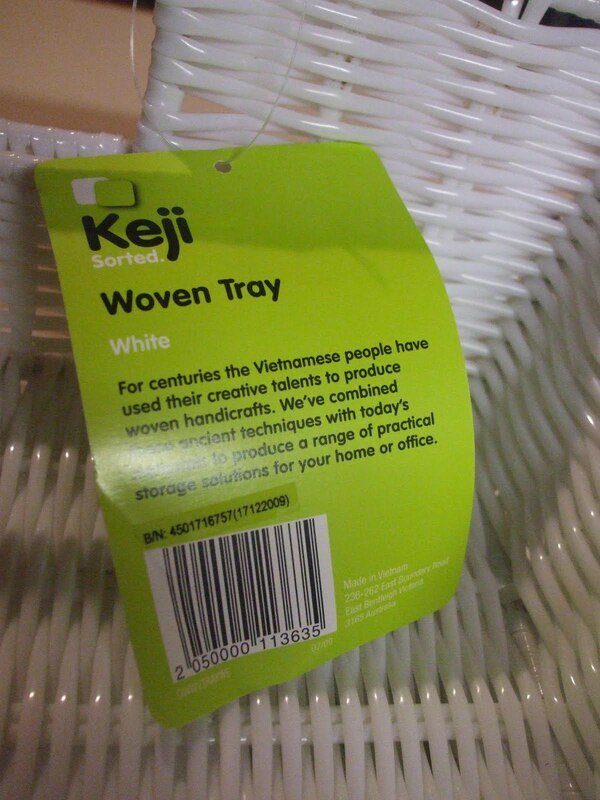 But I did buy these 2 baskets from Office Works. They are plastic coated and quite economical at $11.98 each. I though that they would be perfect for storing my fat quarters. They currently sit in a stack on my shelf but are always toppling over when I want one from the botom of the pile. So now I have them all displayed in my new baskets. How do you store your fat quarter stash? Hope everything is Ok Fee! What a great basket for FQs, not being wicker means no snags.. Your FQ's look beautiful in the white baskets. I also store my in those ugly plastic containers. Fee those baskets are wonderful - your fq's look delicious in them! Mine are all in plastic drawer units, where I have to dig through to find anything, lol. 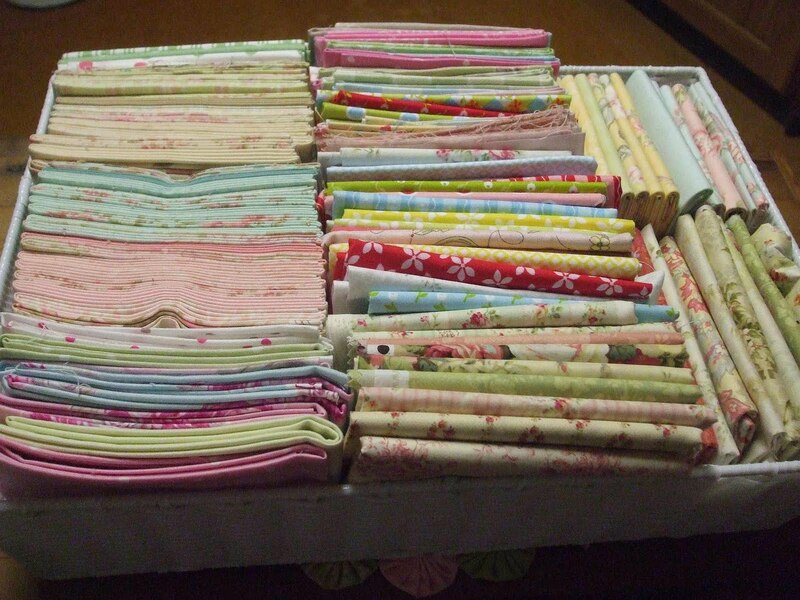 I used to have one entire wall of shelving to store fabric on, but the fabric did topple when I went hunting. It was nice though seeing what I had at a glance. We took it out when I switched rooms. Your Fat 1/4 look so Pretty in their New Home..I keep mine in a large chest of drawers that I painted white with Gorgeous porcelain knobs...Hope next week is a better one for you. Mine are in drawers, suitcases and all over my table at the moment! 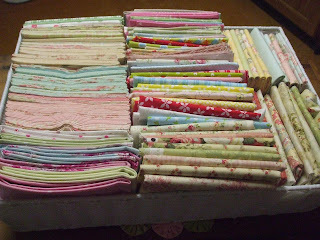 What lovely baskets Fe and a great way to store your fat quarters in. 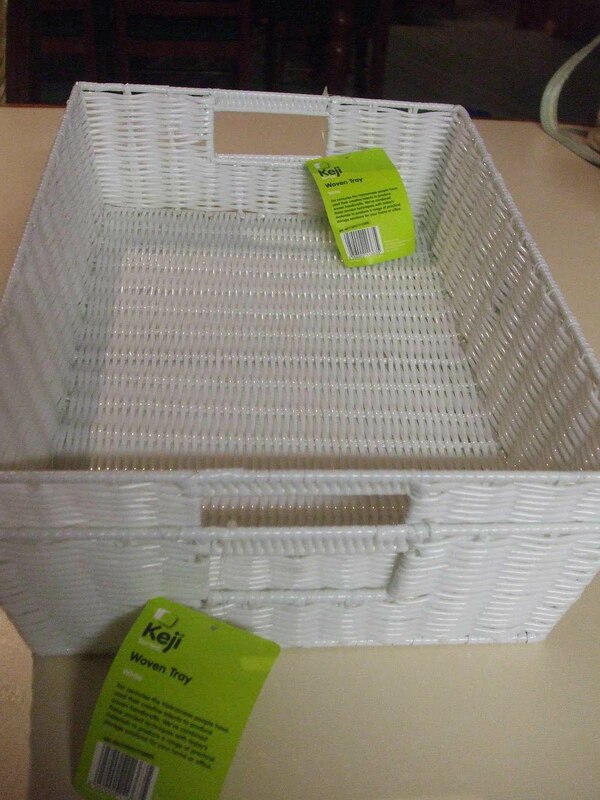 I store mine in plastic baskets but nothing as nice to look at as yours. i could never find the right fat quarter when I needed it, so last September hol's, I got to and bought four sets of plastic drawers and sorted all my FQ's into colours, labelled each drawer for a different colour, and now I know EXACTLY where they live!!!! I like the look of your white woven ones though....tres chic! I could never keep it tidy enough though! 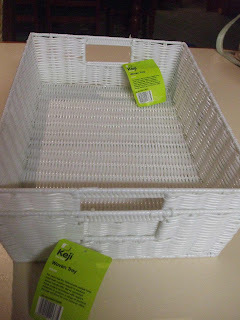 I too have some baskets but they are from the $2 shop, inexpensive and made in colourful plastic. I use them to store projects and others for fabric. Maybe I should invest in one or two lovely big baskets like yours. 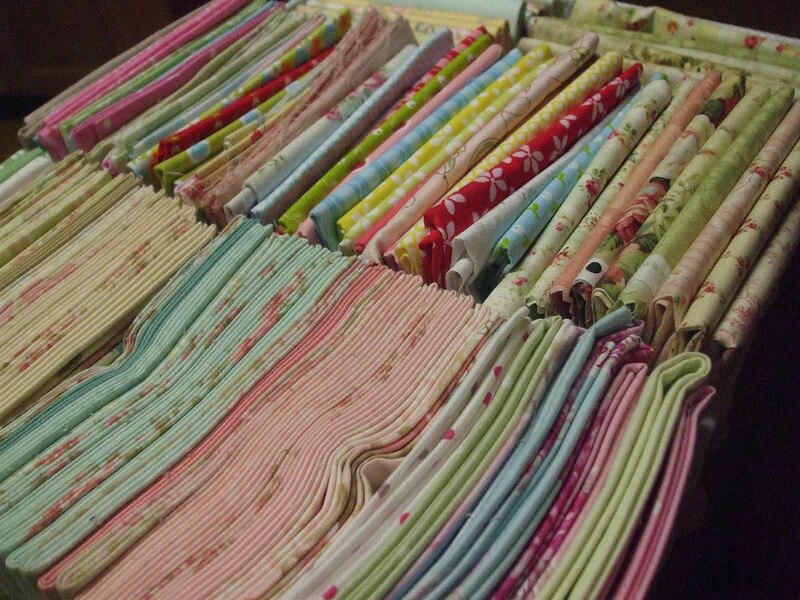 I love the way you organized your fat quarters! 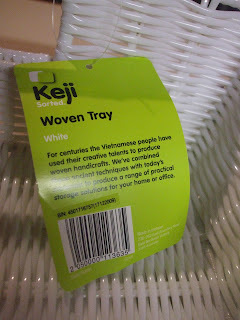 Love the baskets - will have to check out my local Officeworks. I keep my fat quarters in pigeon holes in a bookcasey type thing I bought at Aldi. It has only small cubbies about 6 holes x 6 holes, just the right size for holding fat quarters! I use a tall boy and the draws are packed full of fabric.